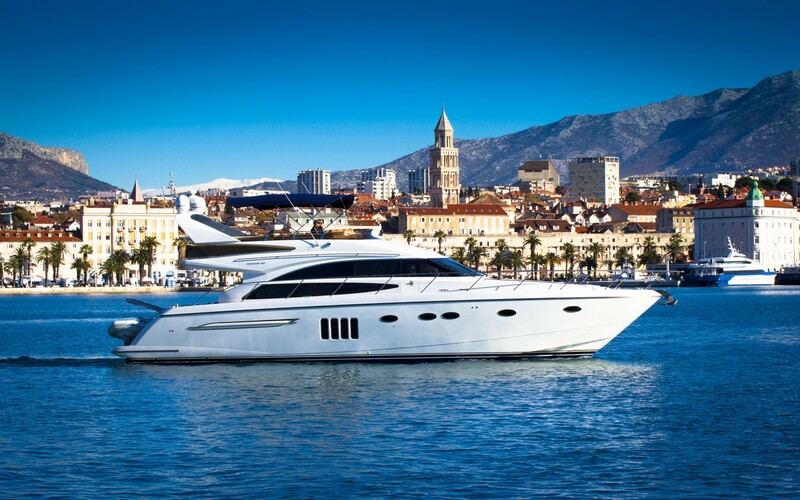 M/Y PAMANGO is based in Split for charters throughout Croatia. 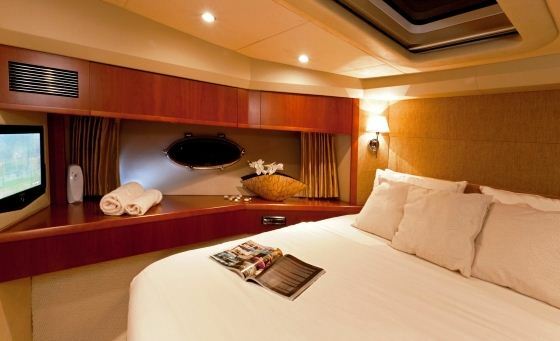 Motor yacht PAMANGO is a Princess 62 built in 2008 combining contemporary design and exceptional use of space. 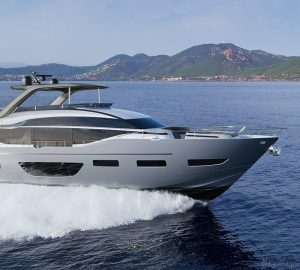 The broad beam of the Princess 62 PAMANGO creates a large interior volume, enabling her to achieve a four-cabin layout with outstanding headroom throughout. 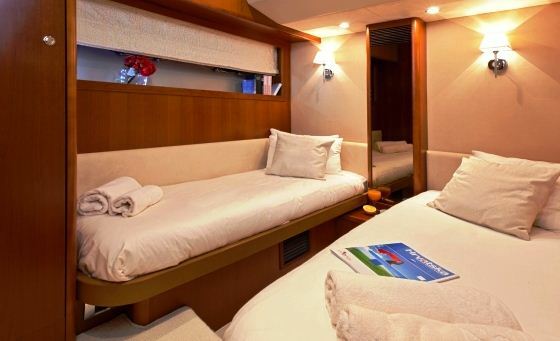 The PAMANGO yacht is able to accommodate up to 8 charter guests in 4 cabins. 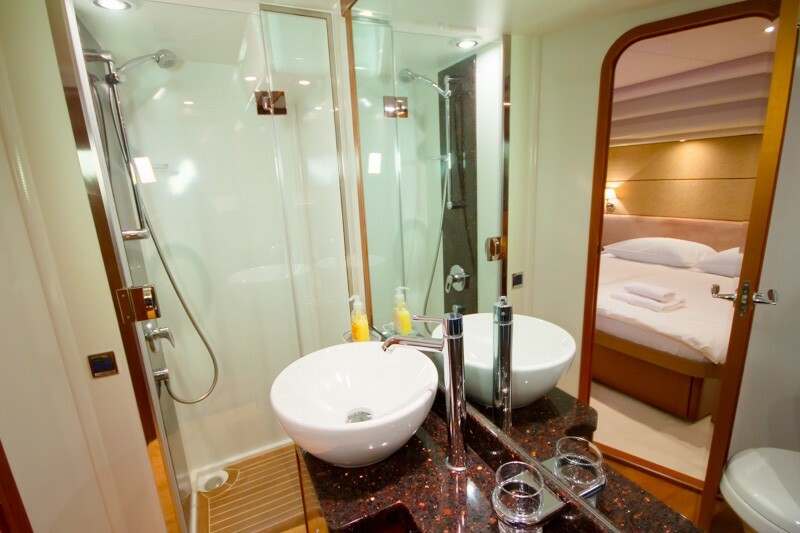 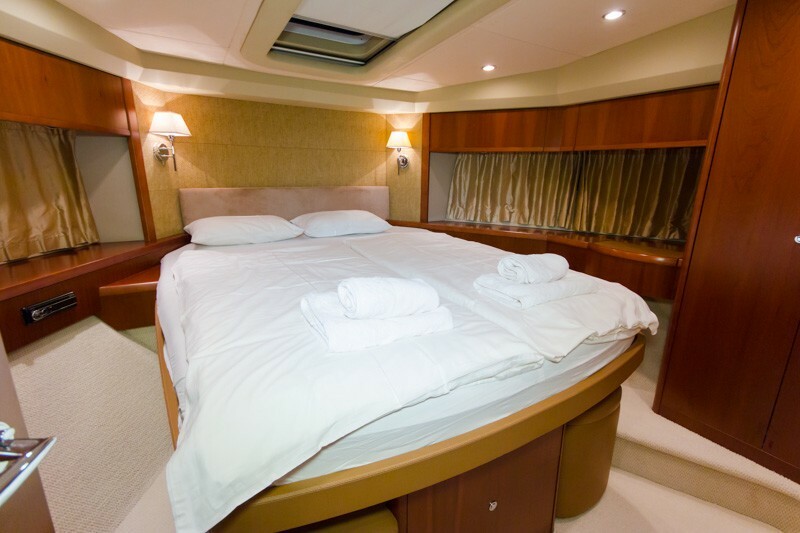 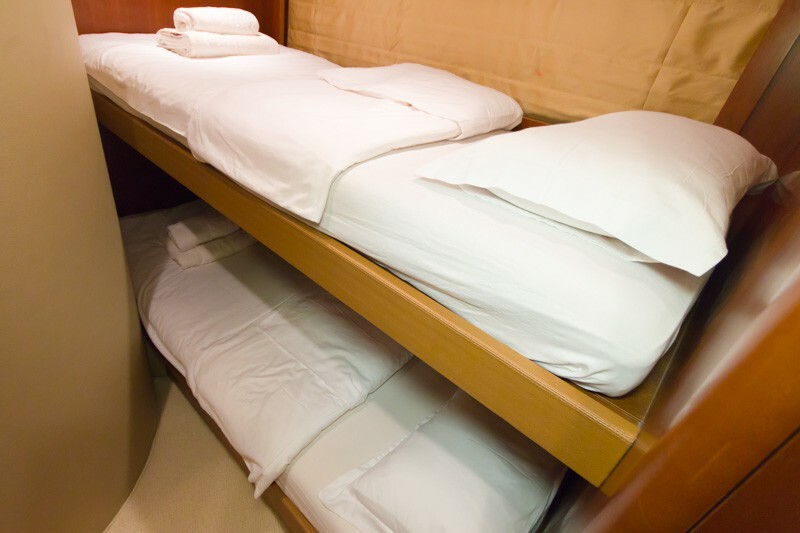 The Master stateroom enjoys the full beam of the yacht, while the VIP suite located forward also has its own bathroom with large stall shower and LCD TV/DVD Stereo System. 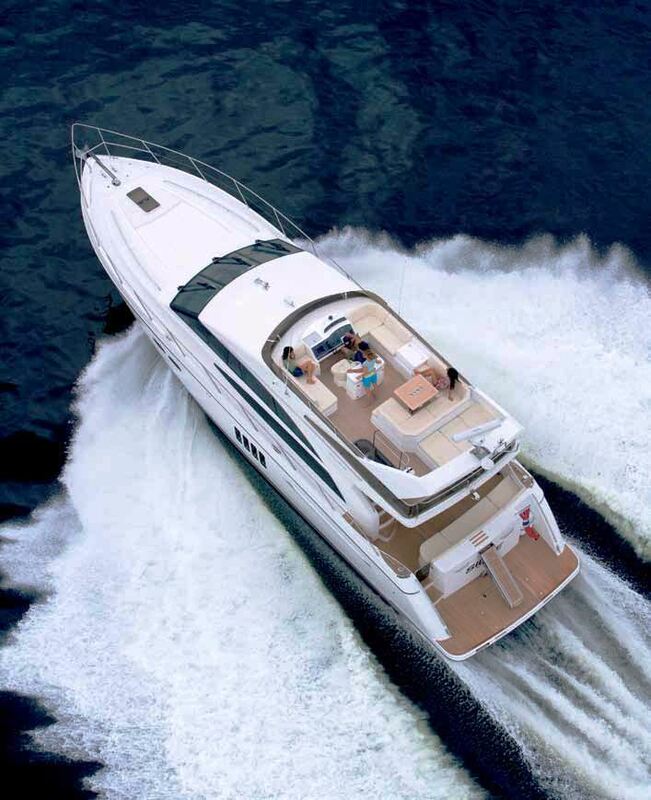 There is also excellent stowage capacity enhancing the potential for long distance cruising. 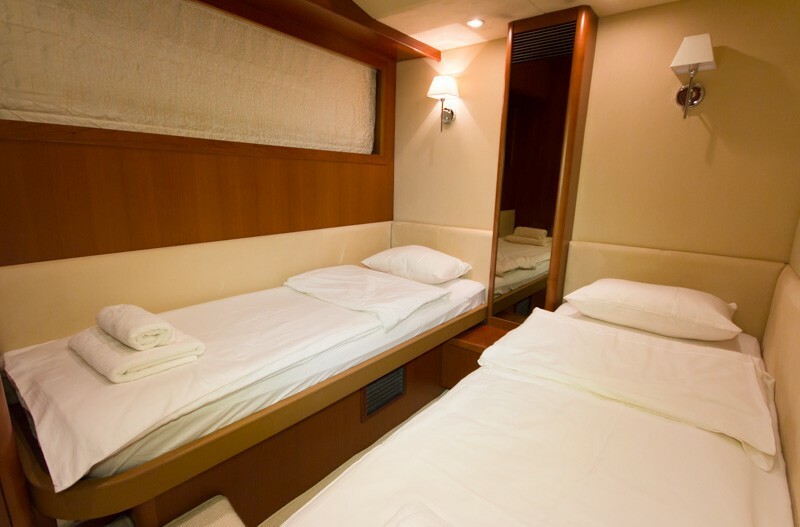 There is also a convertible twin / double cabin and one twin/bunk cabin. 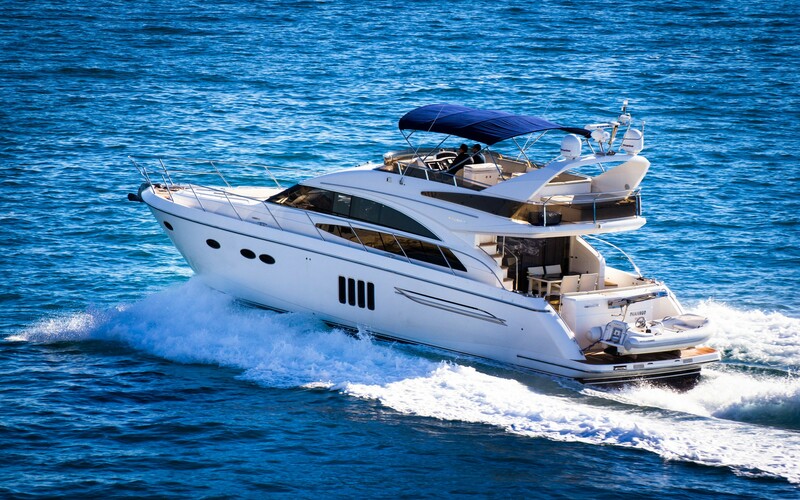 She is fully air conditioned. 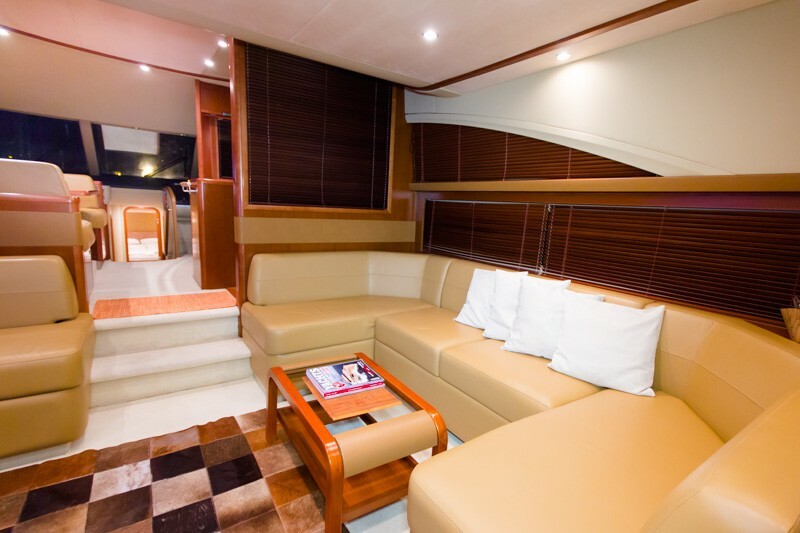 PAMANGO’s main salon features a two-seater settee facing the comfortable U shaped sofa and further forward is a separate dining area for eight. 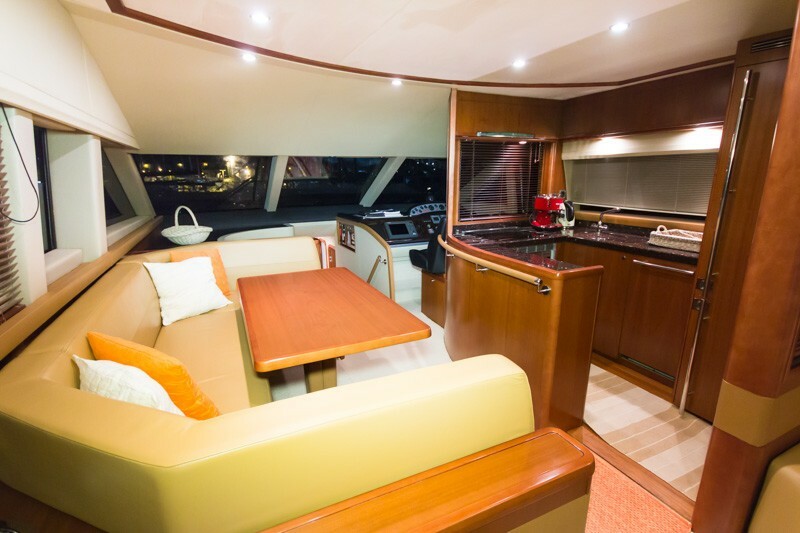 The galley and dinette are arranged in an open plan layout; making food and drink preparation and serving highly hospitable, and the galley itself is fitted with an exceptional specification of standard equipment including a full height refrigerator and dishwasher. 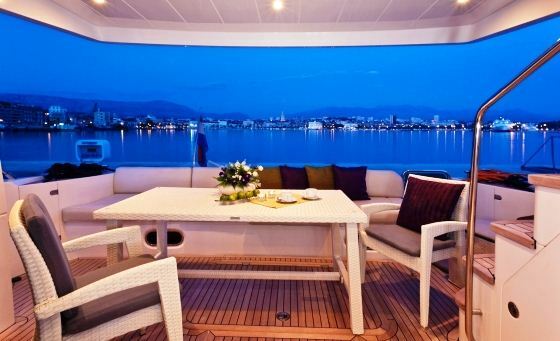 The exterior spaces onboard the PAMANGO yacht are spacious ad welcoming. 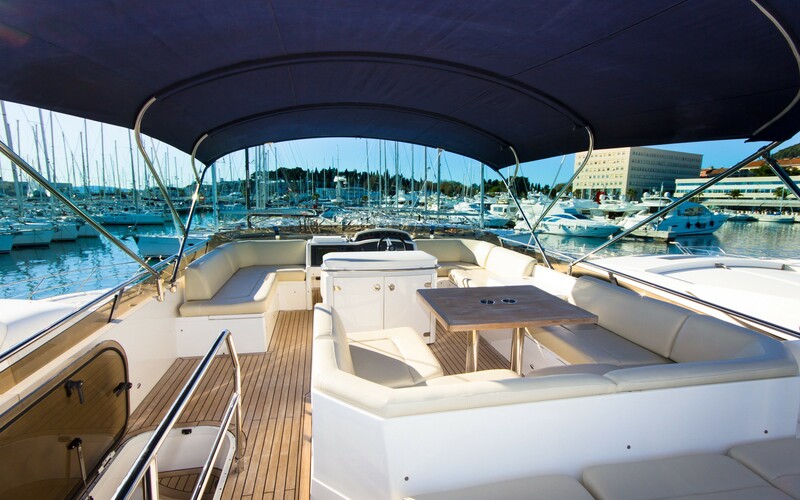 Her fly bridge features three separate seating areas as well as a sunbeds and fully equipped wet bar and BBQ. 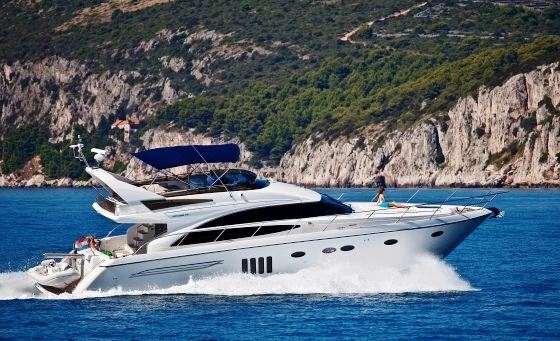 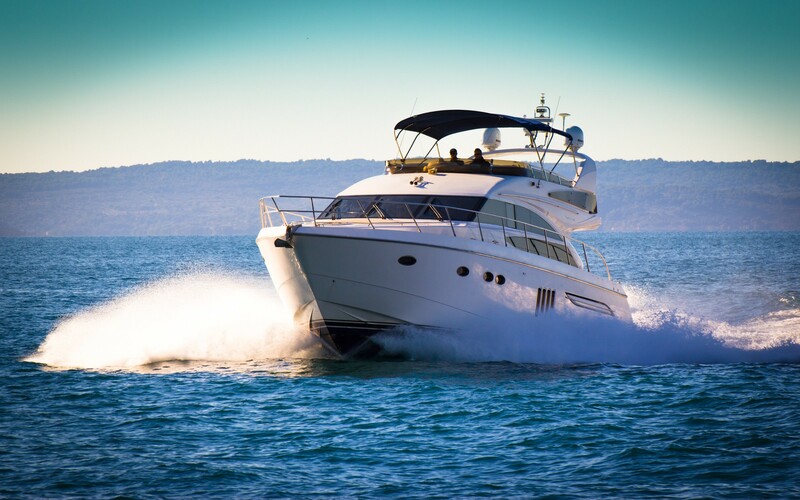 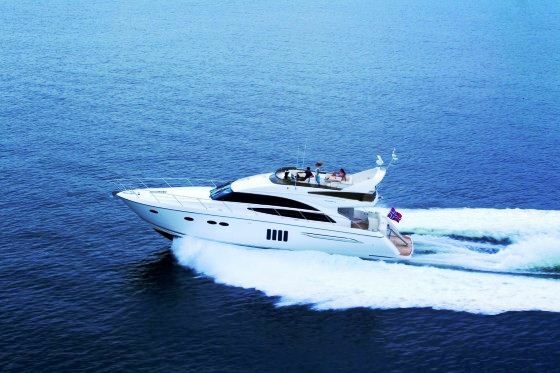 The Princess 62 PAMANGO has exceptional sea keeping qualities with fluid acceleration, high cruising speed and straightforward, intuitive controls. 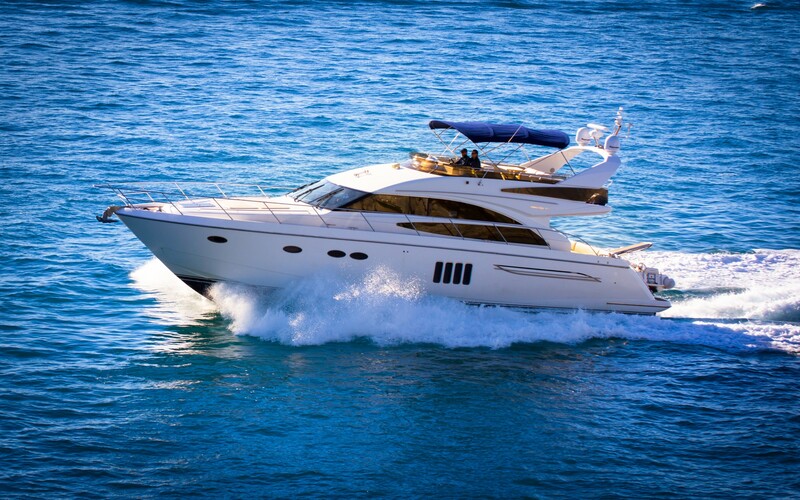 The yacht can cruise at speeds of up to 22-29 knots thanks to her twin 1015 hp CAT C18 engines. 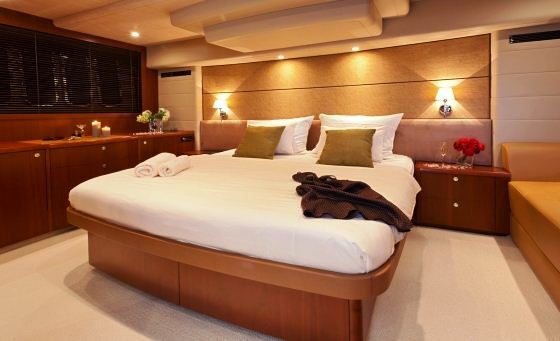 The Princess 62 motor yacht PAMANGO is able to accommodate up to 8 charter guests in 4 cabins, with the ensuites. 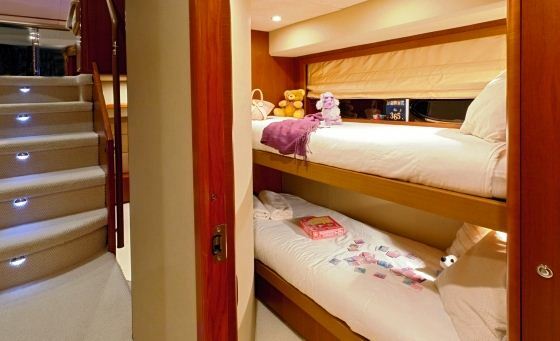 The Master Cabin has a king size bed, the VIP cabin a double bed cabin, there is a guest cabin with twin beds that convertible to a double bed, and there is 1 bunk bed cabin more suited to children. 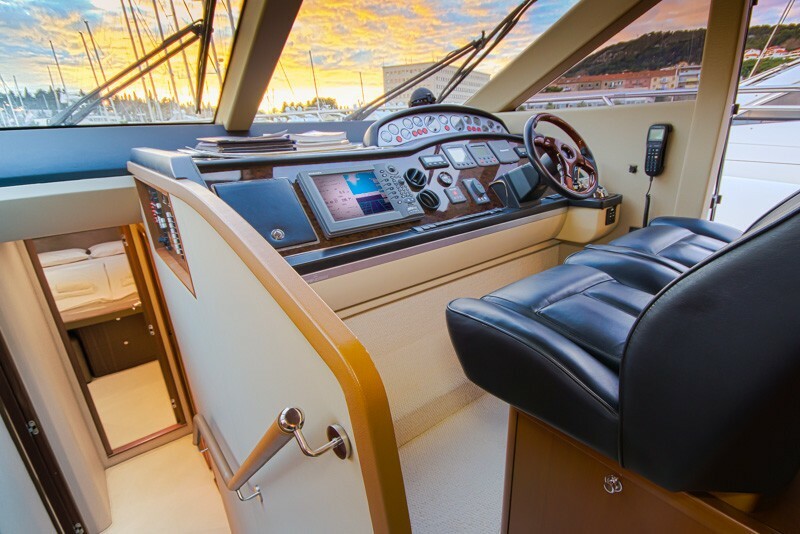 Charter yacht PAMANGO boasts the following extras and amenities onboard: A Williams 325 jet tender 104 hp, water skis, wake board, doughnut. 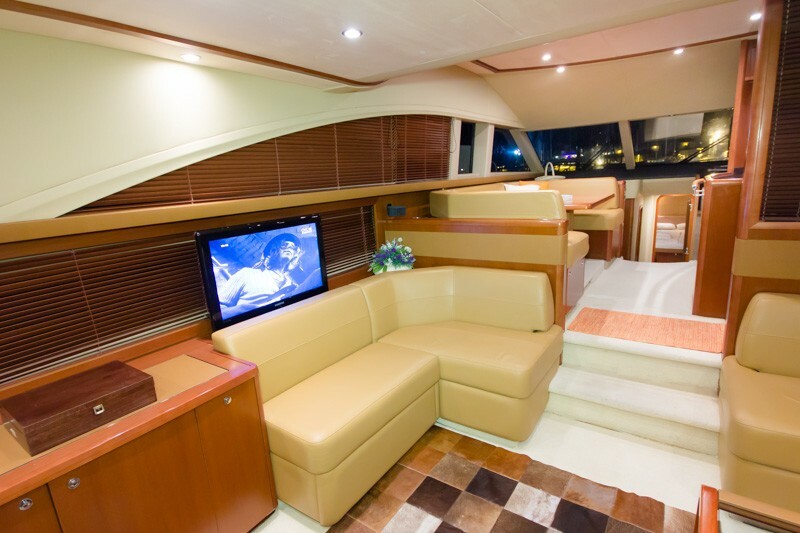 Entertainment includes a SAT anntena, Saloon LCD TV with DVD and Bose surround-sound system. 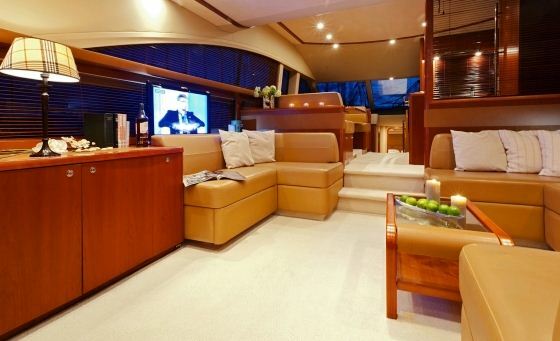 LCD TV/DVD/radio in master cabin and VIP cabin, iPod system. 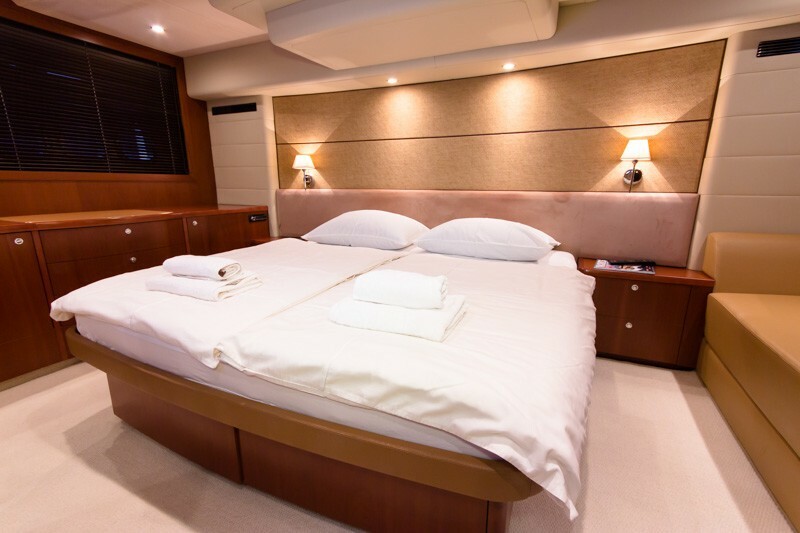 Further equipment includes Air condition in saloon and all cabins, Generator ONAN 17,5 kW, watermaker, icemaker, flybridge wet bar and BBQ, dishwasher, washing/drying machine, cocktail cabinet, sunbathing cushions on bow, flybridge sunbed and cushions.